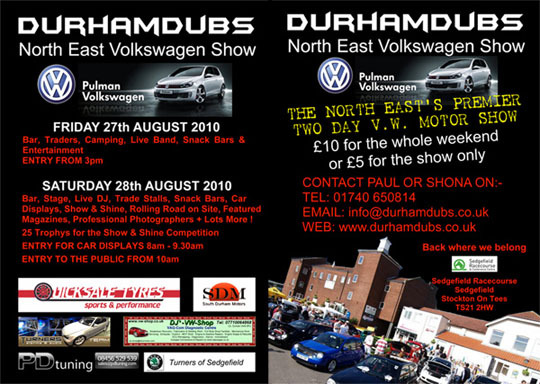 This coming weekend is the 4th Annual Durham Dubs show. Its the weekend before edition 38 and should be a good warm up for that if we dont say so ourselves. We are going to go through and check it out so check back for a full report and pics from the event. For more info on the event you can check out www.durhamdubs.co.uk and the flyer is below.